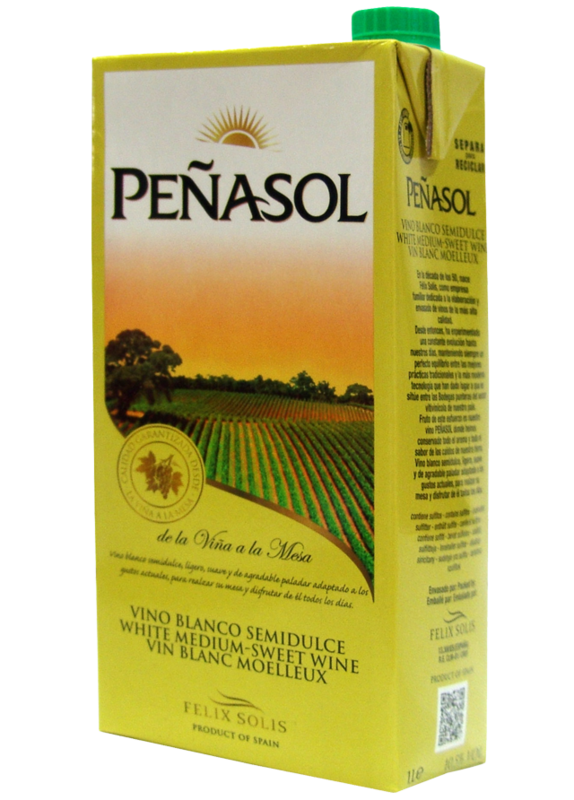 Peñasol White Semi Sweet Slim is made from Airen grapes, the most widely cultivated grape in the world for its resistance to heat and poor soils. Airen is the autochthonous grape from Castilla-La Mancha. Pale lemon yellow, with a nose that carries intense aromas of white flowers and fruits. Fruity and pleasant on the palate. This wine is ideal to accompany fish, salads and creams. Its grapes undergo strict controls on the vineyards to determine the correct moment to be harvested and transformed into a wine with the right amount of sugar and acidity. Modern wine making techniques are employed to produce a delicate wine. The fermentation is then stopped by cooling down at the right moment.